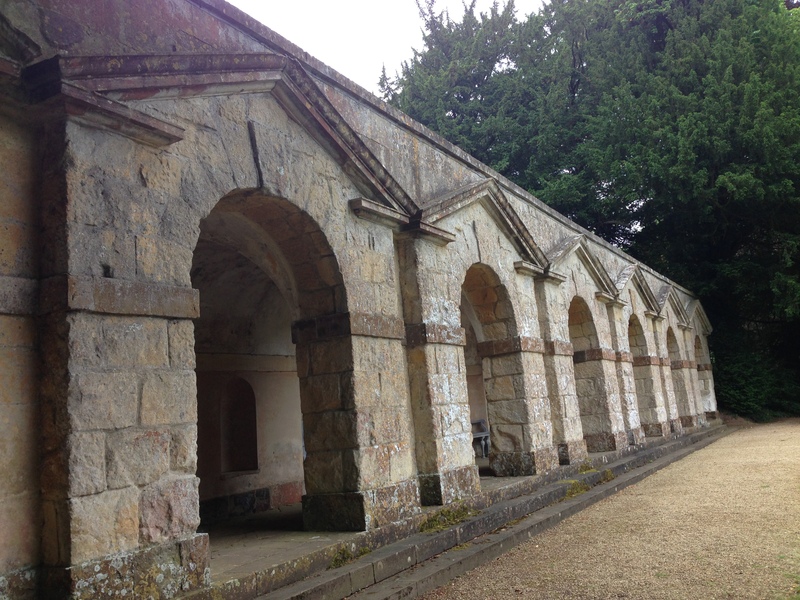 You happen upon the Praeneste Terrace early on in the walk through Rousham. 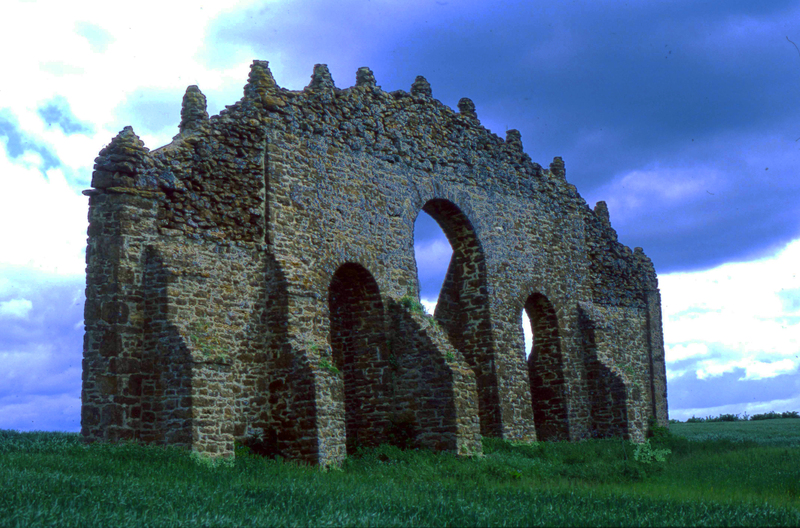 This fine stone edifice gives no hint of what is behind its heavy arches and it is not until much later, when you emerge from the woods and encounter the Dying Gladiator, ‘his drooped head sinking gradually low,’ that you find out. As you approach the balustrade to see the view you have a sense of having been there before. Yet only by studying the map will you be able to confirm that the suffering gladiator sits atop the same terrace that you paused to admire earlier. ‘I knew the back of my father’s ankles intimately – especially that segment of skin between the top of his socks and the bottom of his trousers. 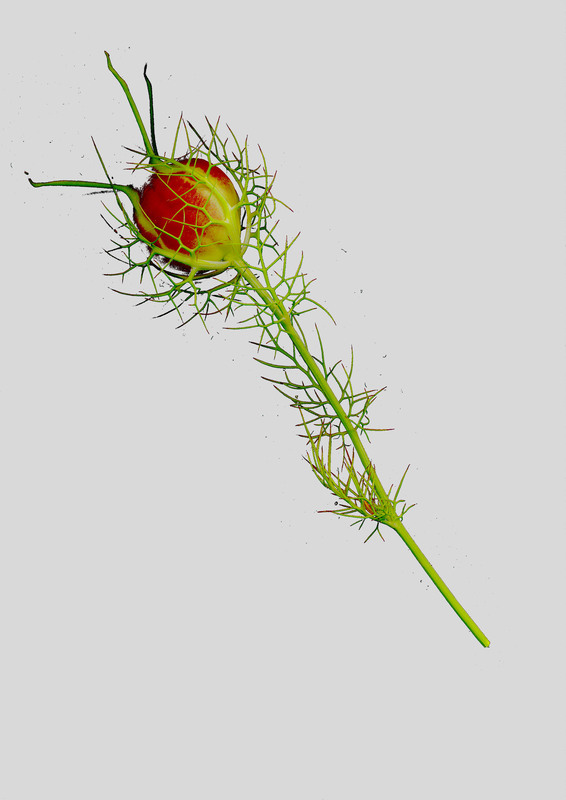 A small forest of leg hair was exposed every time he stretched up the ladder to press mortar into a high part of the garden wall, and I often felt the desire to tuck the stray tufts back into his sock. His shoes were scuffed too, down the back seam, and I sometimes wondered what mythical creature rubbed that precise spot. “Pass me up that cloth, he said, glancing down at the bucket beside my feet. “Yes, I replied, too quickly. McNally Robinson Bookstore, Grant Park, Winnipeg, Canada. 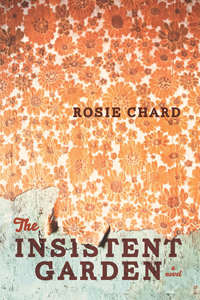 My second novel, The Insistent Garden, will be published by NeWest Press on 1st September 2013. The book launch will be held at 7pm on Thursday 12th September at McNally Robinson. Everyone is welcome. Edith Stoker’s father is building a wall in their backyard. A very, very high wall—a brick bulwark in his obsessive war against their hated neighbour Edward Black. It is 1969, and far away, preparations are being made for man to walk upon the moon. Meanwhile, in the Stokers’ shabby home in the East Midlands, Edith remains a virtual prisoner, with occasional visits from her grotesque and demanding Aunt Vivian serving as the only break in the routine. But when shy, sheltered Edith begins to quietly cultivate a garden in the shadow of her father’s wall, she sets in motion events that might gain her independence… and bring her face to face with the mysterious Edward Black. 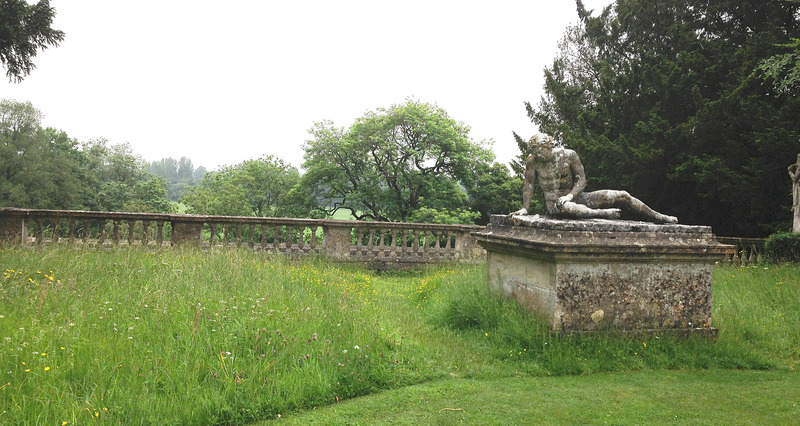 Rousham is an eighteenth century landscape garden in Oxfordshire, and Snowshill Manor, an Arts and Crafts garden in Gloucestershire , designed early in the twentienth century. 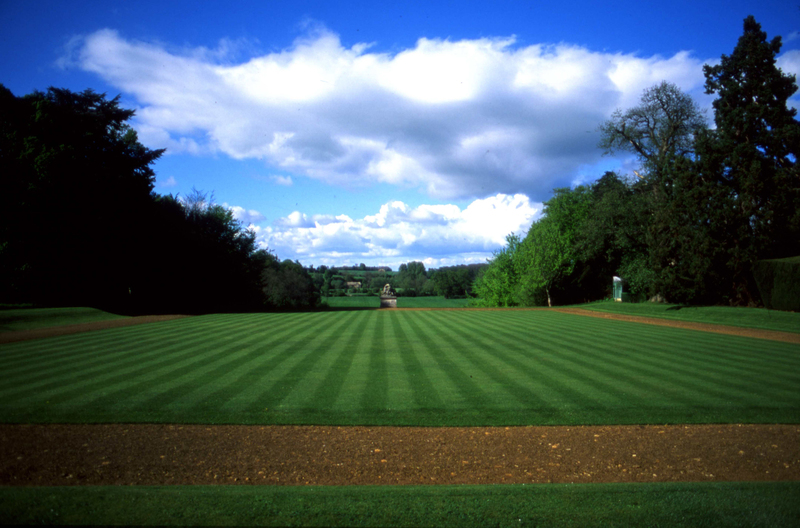 Rousham is a place to go to and imagine it is yours. 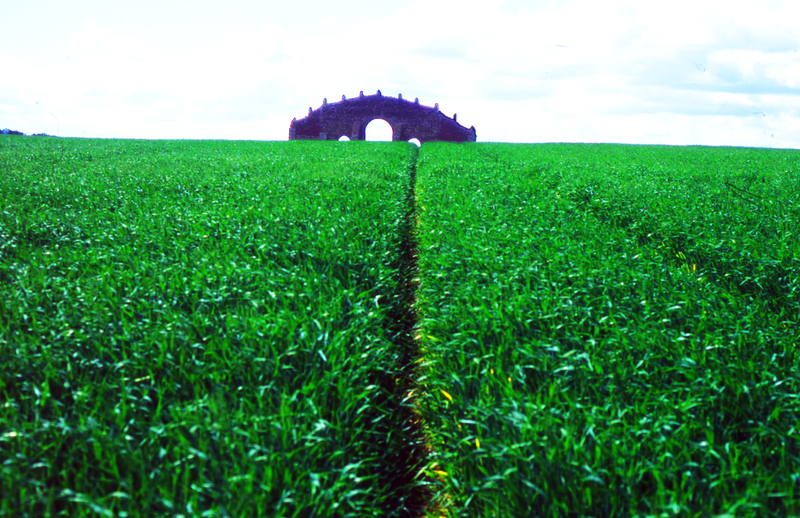 The designer William Kent, playing with perspective by ‘delusional comparison,’ placed an eye-catcher in a distant farmer’s field. This faux arch was intended to ‘catch the eye’ and so extend the perceived boundaries of the space. A small garden became large. In The Insistent Garden, Edith Stoker’s world was but a small garden, restricted by circumstance and the force of oppressive personalities, yet perhaps there was something on her horizon– waiting to catch her eye.